Ever wanted to video tape your driving during a track event or at an autocross? Or did you want to check if your suspension geometry is changing under racing conditions? Or did you just want to get some interesting video footage of your drives down twisty roads? I think most automotive enthusiasts can appreciate these video footages made popular by Speedvision in Touring car races and in World Rally races. The video camera has become quite popular and they have shrunk in size remarkably. However, it has always been difficult to find a proper way to securely mount your camcorder in your car to get these in-car videos. It has been an even greater challenge to get those other extreme angle shots where the camera is mounted low on the side of the car where you can see the wheel/tire turning. Imagine mounting your brand new $1000 mini-DV camcorder on the outside of your car! So now onto the review. 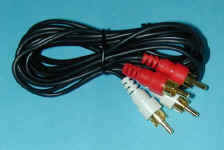 The supplied RCA cable is your typical cheapy variety which does fine for the resolution and audio capabilities of the camera. This is for a more permanent mount like on a wall. 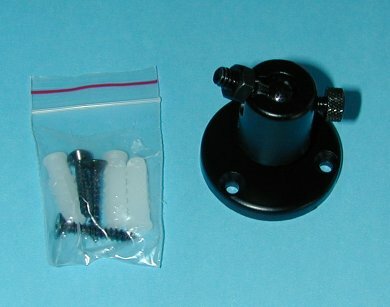 You probably won't use this mount unless you need to secure the camera to a wooden block or other solid mount. 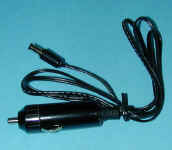 This DC plug supplies power to the camera during in-car use. 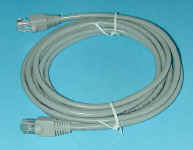 The CAT5 cable is used to transfer the power, video, and audio signal to your video recorder. This dongle converts your power, video, and audio signals to CAT5 cabling. 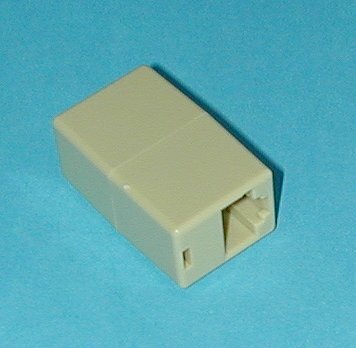 This allows you to connect the above adapter to the RJ-45 cable. 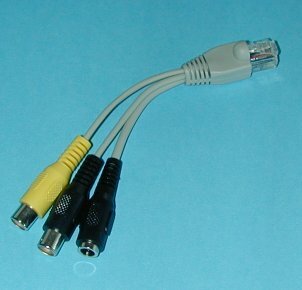 The CAT5 cable is connected to the adapter which then connects to the dongle when then connects to your RCA and power connections. 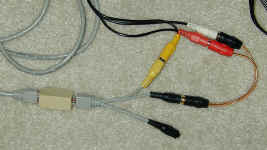 The black plug with no connector shown is the Power plug. My particular unit did not have a very tight connection on the power plug. I will have to tape it up to ensure that the power plug does not inadvertently fall off.